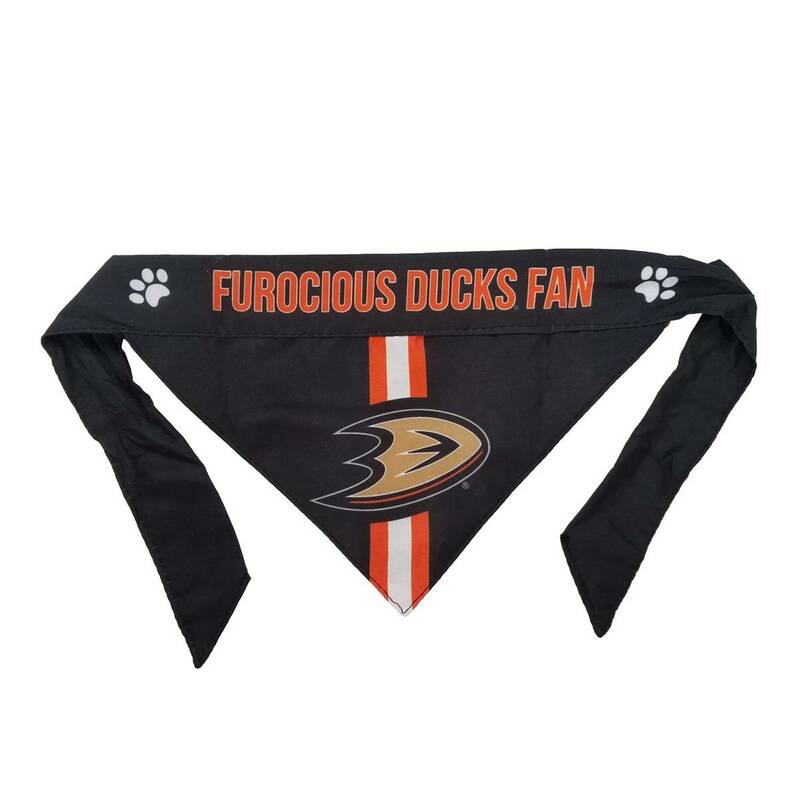 Your pet will put their best paw forward with the officially licensed Anaheim Ducks Pet Reversible Paisley Bandana! 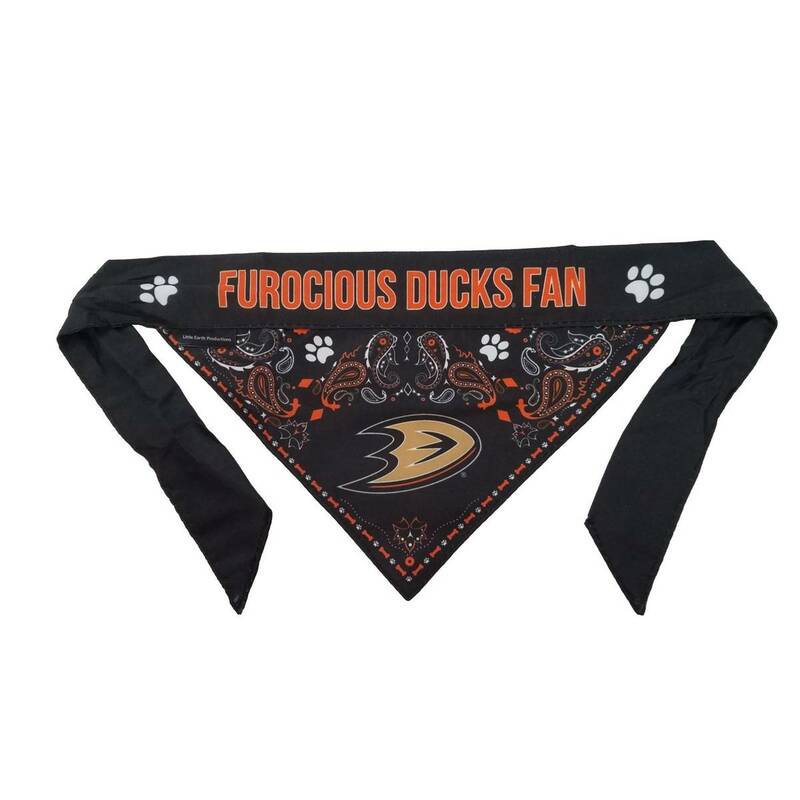 Your pet will put their best paw forward with the officially licensed Anaheim Ducks Pet Reversible Paisley Bandana! Made from soft polyblend fabric, the reversible design features a stylish paisley print on one side and a large team logo on the reverse side.